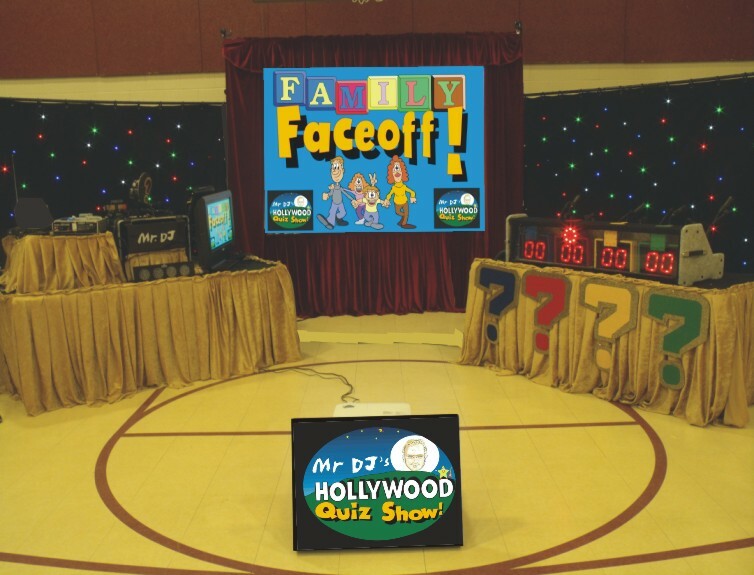 Mr DJ's "Hollywood Quiz Show" for Family FUN! Mr DJ's "Super Smarty Party" Quiz Show for Pre-School! Mr DJ's "Super Senior Hollywood Quiz Show"! 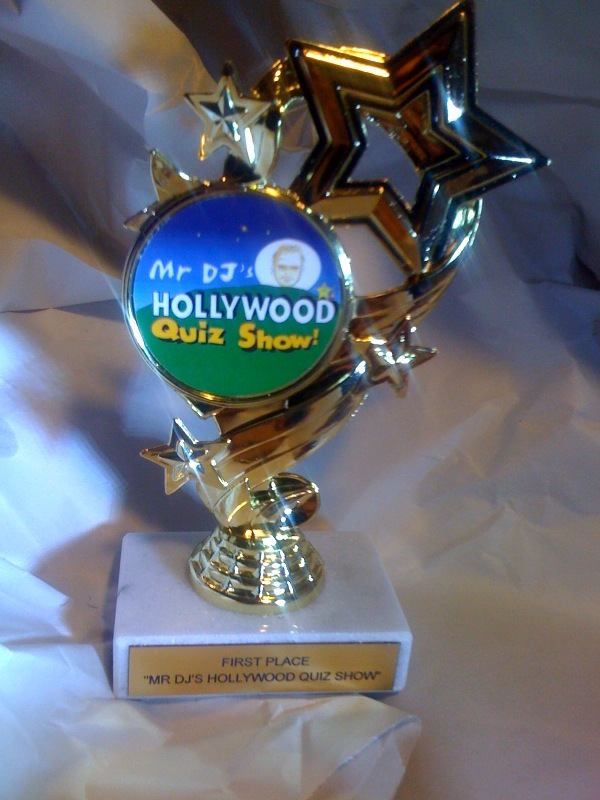 Mr DJ's "Hollywood Quiz Show for Adult Functions!!! Customer Comments / Look where Mr DJ has been ! 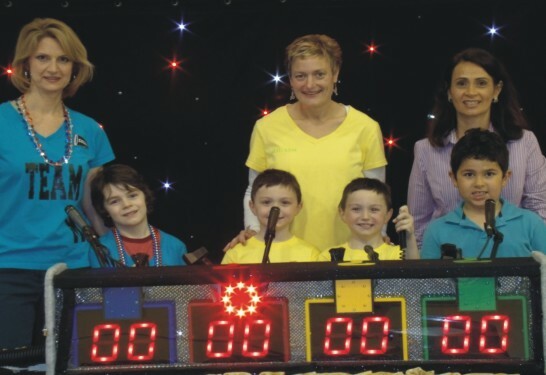 Mr DJ's Hollywood Quiz Show is also available for children's ENRICHMENT events, Senior outings, team building and private parties! Please visit other web pages! 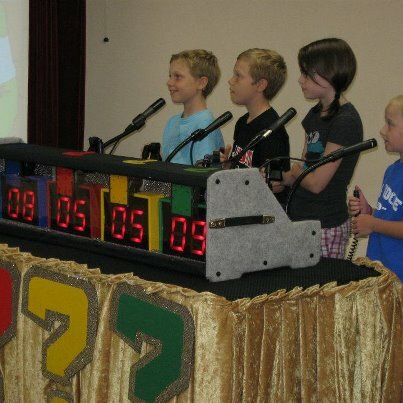 "Mr. DJ came and set up an unbelievable Game Show for our Community Family Sukkot Party. He was so accommodating with the group size & with asking each group age appropriate questions. He made sure to give everyone who wanted, a chance. 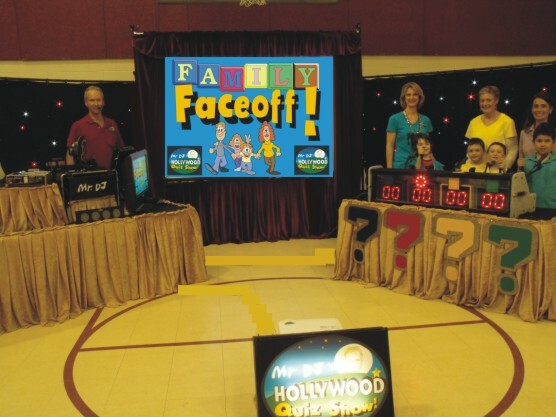 His equipment & set-up, really added a wow factor to the show, and the kids & adults really felt “like they were on TV”. His show is professional & personable at the same time. Our families loved it!! and the party was a huge success!! We look forward to having him again in the future!" For more details and referrals. 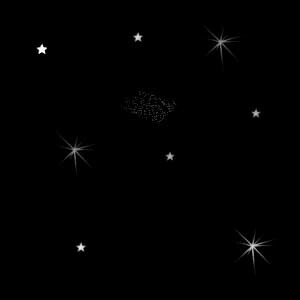 You Are the Star, Inc.
Get ready for AMAZING Family FUN! School Functions, Churches, Corporate, Father / Daughter Dances, Mother / Son Dances, YMCA Events, Town Family Events and MORE! "Hello Mr DJ! We are getting reports from moms and boys "best Boys Choice in 7 years" You did a great job and they loved the music almost as much as the game show! Hope to see you soon!" Sheila and Tracy-PTO/ John Brown Francis School, Warwick R.I.
Moms, Dads, Brothers and Sisters, put on your thinking caps! 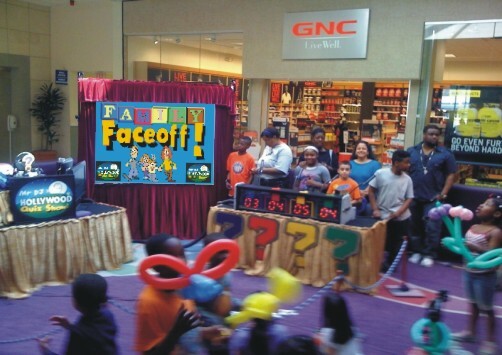 Mr DJ's sensational "FAMILY FACEOFF" will turn your annual events into a Unique and Exciting experience for ALL! With THOUSANDS of challenging questions to choose from, Mr DJ will test the wits of both young AND old! 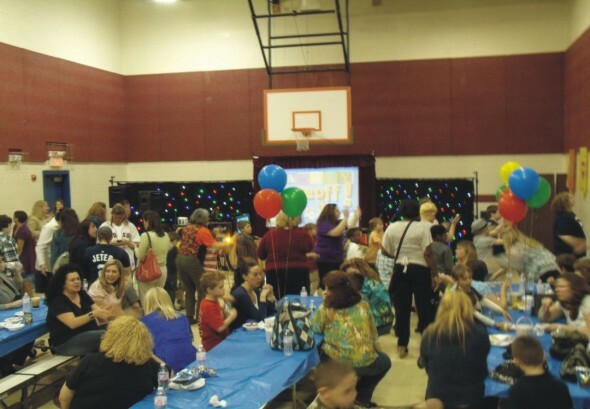 Additional Games, Prizes and Dancing will help to make your upcoming celebration "FAR BEYOND EXPECTATIONS!" Call today and SAVE $$$$$$! Mention promo code "kids123" and save 10%! Awards Ribbons and Trophies may be presented to contestants! Other GREAT novelty items including T-Shirts, coffee mugs, mouse pads, pens and hats are also available as SPECIAL PRIZES!